Zoella Let's Glow Candle I'll admit I really disliked this when I first got it, but the more I burned it the more it grew on me and I was actually quite sad when it finished. For the price of it though and how small it is I'm not entirely sure I'll re-purchase it. The smell was very faint but quite relaxing and nice. Batiste Dry Shampoo My all time favourite shampoo is any from Batiste. I have gone through numerous amount of bottles from this brand through the years but who hasn't? It works amazingly and has so many different scents along with ones specially for coloured hair so that it won't spray out white. Honestly this brand can do no wrong in my eyes and I currently have the 400ml bottle in my press ready to use! Yes To Cucumber Wipes I don't usually use face wipes because I have sensitive skin and wipes normally just irritate the hell out of it. However I will normally have some sort of packet of wipes in my room for if a friend stays over so they have them there if they want to use. I actually loved these though, the wipe had a lot of product on it which I liked and it was so gentle on my skin and strangely enough even felt hydrating. I would definitely repurchase these especially for when I'm travelling. Botanics Night Cream Just like the Day Cream I adored the night cream. It's a lot more thicker so during the night your skin absorbs it slower but oh my goodness it leaves your skin feeling amazing! It has the exact same scent as the day cream and again contains brightening hibiscus so it gives your skin a nice glow! I have already gone through 2 or 3 of these and have already opened my next bottle. Honestly I just adore this range so much! 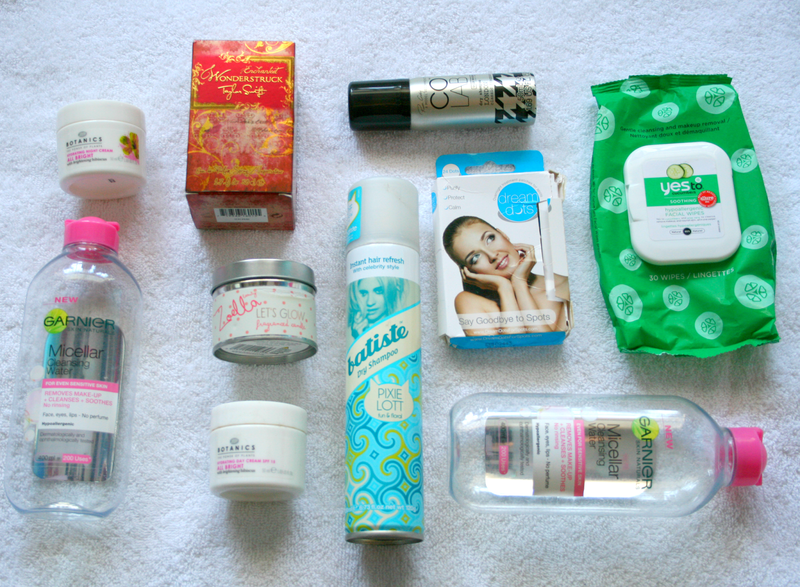 I love Batiste, I've tried a few other dry shampoos and they've never been as good. I like the cherry one best!